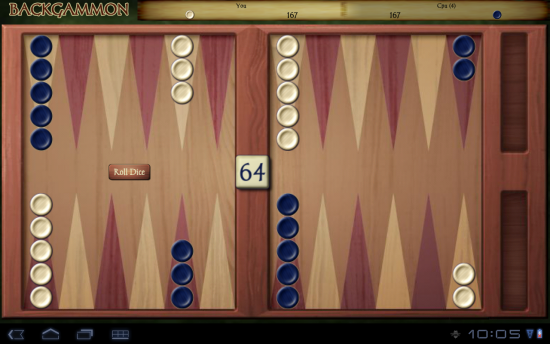 One thing a 10-inch tablet is perfect for is playing Backgammon. If you've never played, it's an ancient game -- something like 5,000 years old, by some accounts that involves rolling dice and removing all of your pieces (or checkers) from the board. It's a good mix of strategy and luck, and it really doesn't take long to get the hang of it. 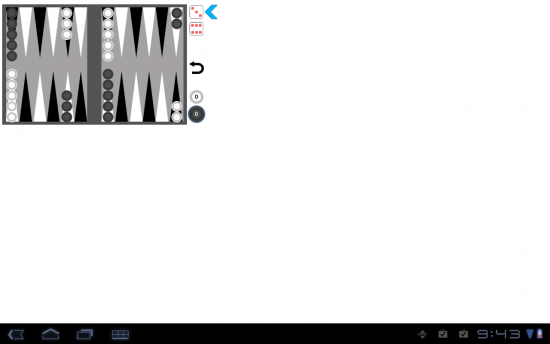 We've taken a look at some of the free backgammon games available in the Android Market, and gave them a go on a Honeycomb tablet. Check 'em out after the break. This one looked like it'd have some promise. 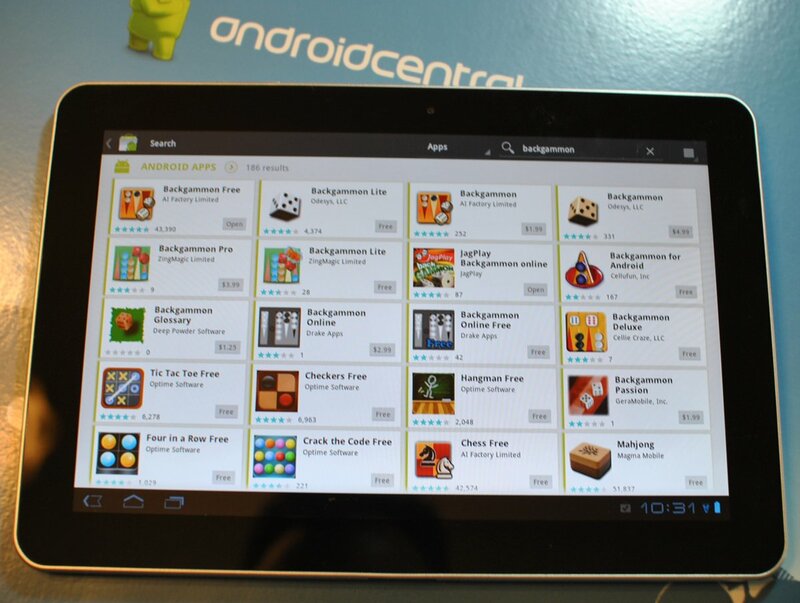 But the board is stretched on the tablet's resolution. You tap and drag the pieces to move them around, which is nice. But the animation is painfully slow. Verdict: Pass. Pretty evident how this one's going to go. It's not designed for the higher resolution, and it doesn't scale up. 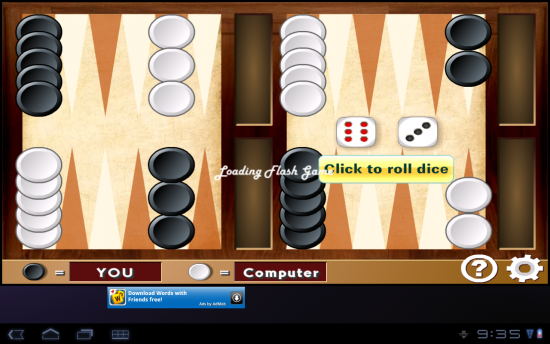 Gameplay's decent, however, with tap-and-drag for the pieces, and the animation is smooth. There are three levels of difficulty, and a local two-player mode. 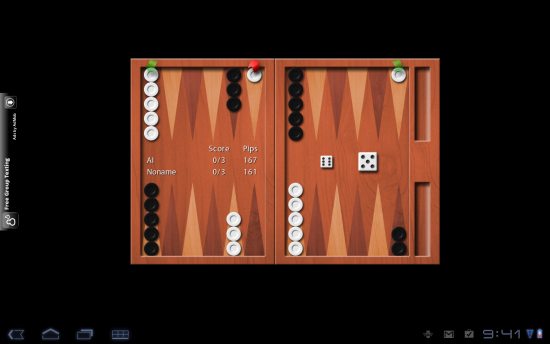 Verdict: If you want to play on small board, go right ahead. We'll pass. Ah. A proper full-size board. But unfortunately it suffers from confusing controls, and the graphic elements are a bit rudimentary. Verdict: We can still do better. Now this is more like it. Full-size keyboard, attractive graphics. It's ad-supported, but the ad is tucked into the top left corner where it's not obtrusive. There are single- and two-player modes, and five levels of difficulty, with statistics reported for each level. 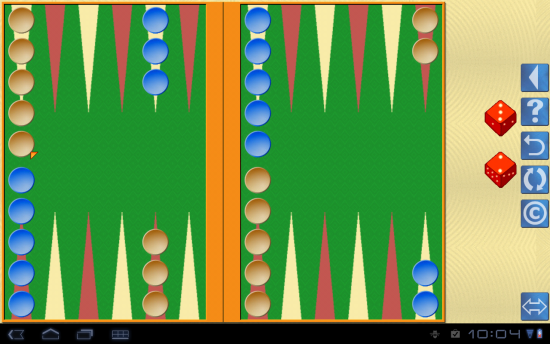 Gameplay lacks tap-and-drag (you'll tap a piece to select it, then tap where you want to put it. Animations are smooth. Our only real complaint is that we're pretty sure the AI cheats -- nobody should get that many doubles. But that only makes us want to beat it more. Verdict: Download now.